Recent News Differentiating Between Insert Window and Full Frame Installations The Components of Our Energy-Efficient Glass Packages VIDEO: Making Your Home Pop With Specialty Windows Energy-Efficient Windows: Warmth Through Fall and Winter What Window Styles Work Best in Which Rooms? Glass is a material known for its natural conductance. In the case of windows, a certain amount of heat is always going to penetrate through the glazing. Single-pane windows allow heat intrusion, which is a bad thing for your home’s energy consumption. Fortunately, installation windows from Renewal by Andersen® of Spokane counter this problem, thanks to the energy-efficient low-E glass packages that come standard on these units. Let’s take a look at the important components of our High-Performance™ Low-E4® glass packages and how each one works to provide our replacement windows with unmatched function. Our High-Performance Low-E4 glass packages are dual-paned, which means there are two glass panels in each frame. Separated by non-conducting spacers, this type of glass lowers the rate of heat conduction, resulting in a reduced need for indoor heating and cooling in the winter and summer, respectively. In addition to the spacers, the space between the two glass panels also contains a custom argon gas blend. This component helps slow the transfer of heat between the glass panes, which in turn improves the thermal performance of the overall product. We’re the only window replacement company to use an inert gas blend, making adjustments as needed so as to avoid glass discoloration. Every Renewal by Andersen window unit utilizes a low emissivity (low-E) coating system for the glass to achieve varying levels of heating, cooling, visible light transfer and ultraviolet (UV) protection. The exterior part of the glass panel has a metal oxide coating to make the surface easier to clean and reduce water spotting. The interior part (inside the airspace), meanwhile, has spectrally selective low-E coatings to maximize the visible light that comes through the window while blocking damaging ultraviolet and infrared rays. These two panes of glass are secured in each window, including our specialty windows, using two sealants: compressed butyl and a specially-formulated silicone. These are precisely applied to prevent air and moisture leaks and ensure the long life of the units. 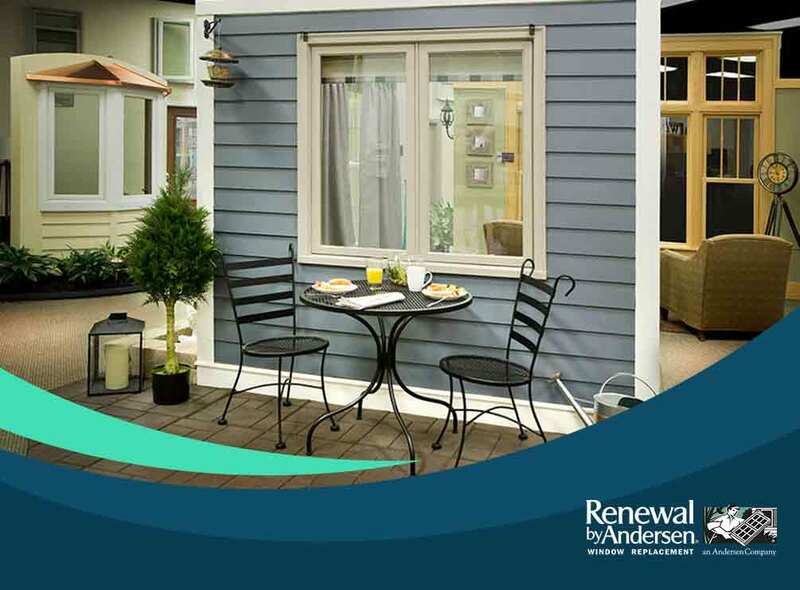 Learn more about our energy-efficient glass packages by calling Renewal by Andersen of Spokane today at (509) 202-4090. You may also fill out our contact form for a free, in-home consultation. We serve Spokane and surrounding areas. "Thanks to Tyler, Carlos, Chris and John for a GREAT install job! The new windows and deck slider door are SO beautiful and energy efficient. We just wish we would have done this YEARS ago. The whole Spokane crew, from start to finish, are definitely “TOP SHELF PROFESSIONALS”! We will see you all AGAIN! Glen & Dagmar Fisher"